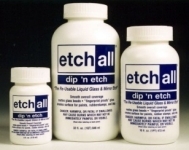 etchall® dip ‘n etch is a re-usable liquid with the consistency of water that creates a beautifully etched, fingerprint-proof, matte finish to any clear or colored glass. 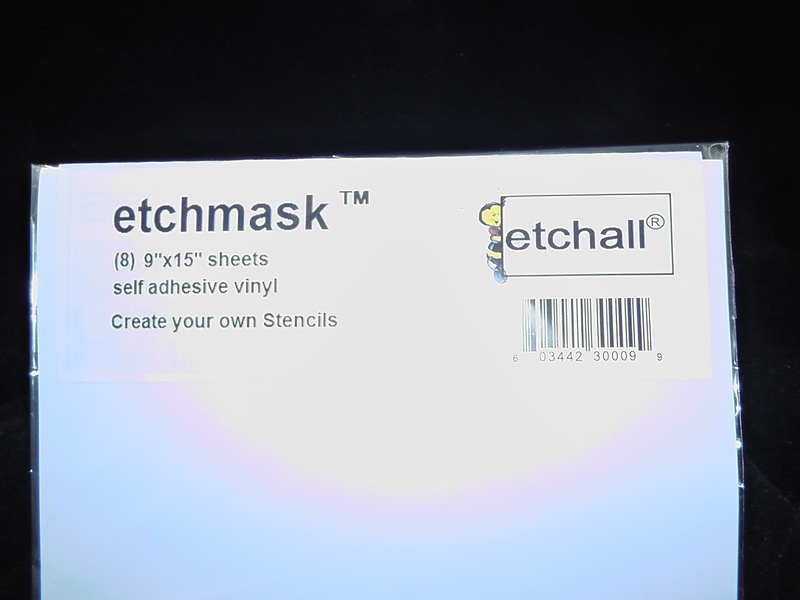 Objects dipped have texture that holds oil or acrylic paint or ink. 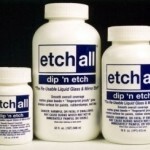 etchall® dip ‘n etch is easy to use, and the application time is only 15 minutes! 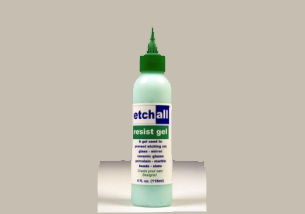 etchall® dip ‘n etch will etch glass, mirror, ceramic, porcelain, marble, or slate.